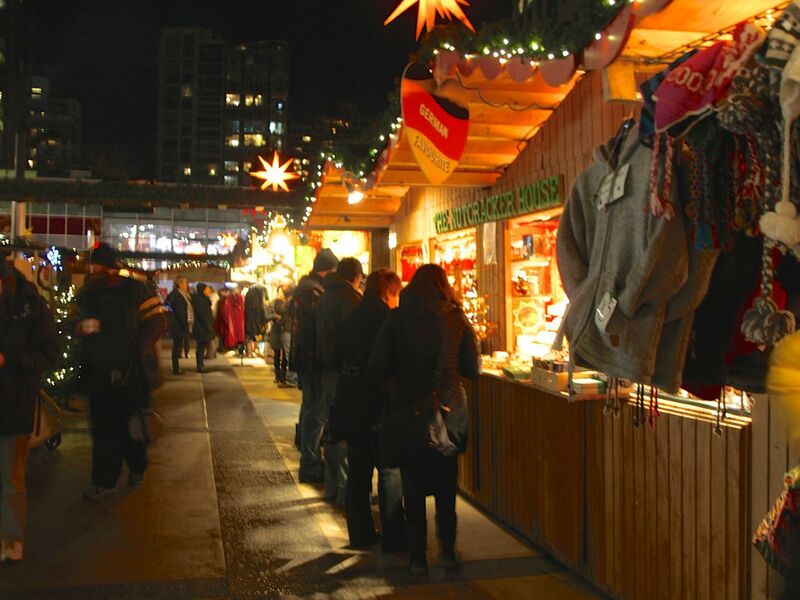 With a ton of festive booths ranging from toy shops, bakeries, to food vendors, the Vancouver Christmas Market may just be the most Christmas-y place in Vancouver around December. 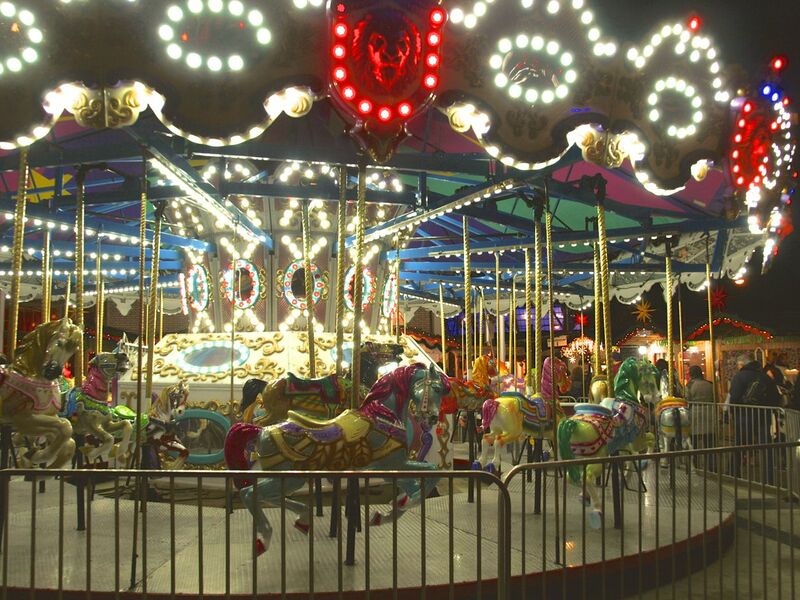 Open until the 24th of this month, the entrance fee is $8 for adults and $4 for kids. 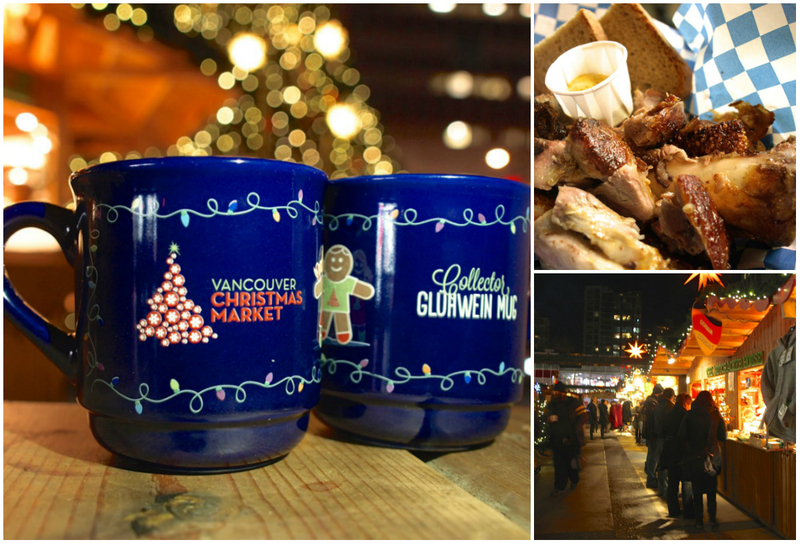 As we learned last year, the food at the Christmas Market is definitely the best part so we tried quite a few things this year. To start off our evening, we sipped on some delicious cider gluhwein, which is a rich and fruity mulled wine that really warms the tummy. Also available is the much stronger traditional gluhwein and a non-alcoholic cider. 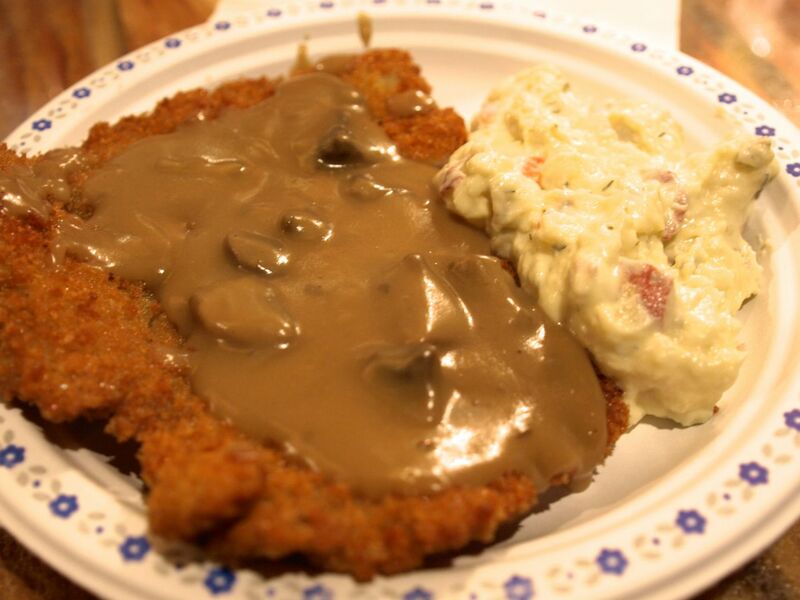 Like last year, we got a german schnitzel doused with some rich mushroom sauce. Das Schnitzelhaus consistently churns out some of the best schnitzels I've tried in Vancouver. The batter is so crispy and the pork is tender and flavorful. Each order comes with a scoop of cold potato salad as well. This year we decided to forgo the Bratwurst for some Spaetzle pasta, which is a soft egg pasta from Germany. Topped with cheese and some mushroom sauce, the spaetzle is soft but not mushy. 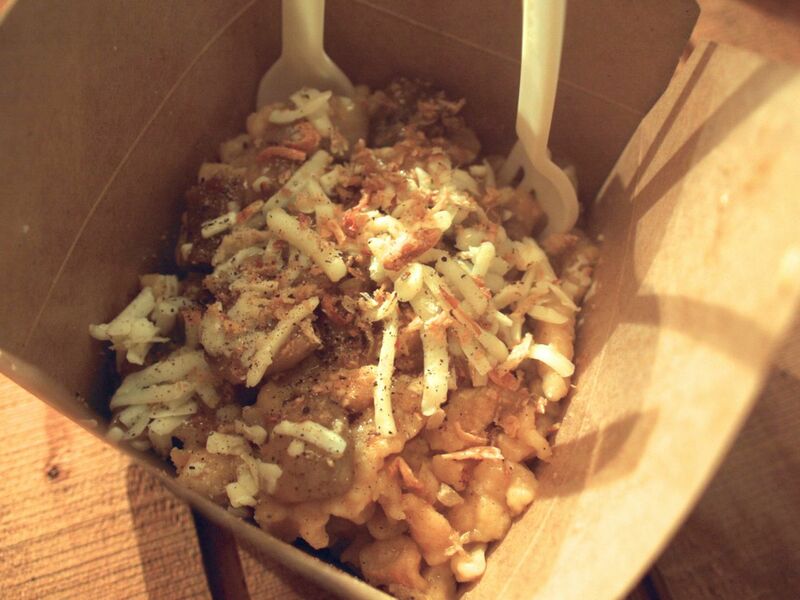 The flavor is just spot on and the whole dish reminds me of a comforting American mac & cheese. This year we also visited the Haxen Haus, which has rows and rows of glistening pork shanks rotating in a rotisserie right in front of your eyes. 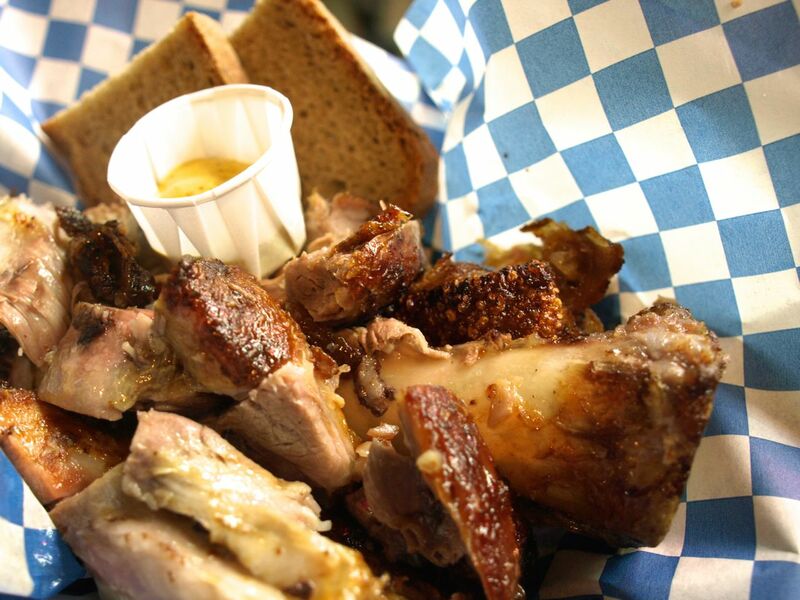 We got a whole pork shank, which comes cut up in bite-sized pieces with a couple slices of bread. The texture of the pork is great and the crispy skin is just divine but I felt the meat lacked a little flavor so I pretty much had to slather the mustard all over everything! 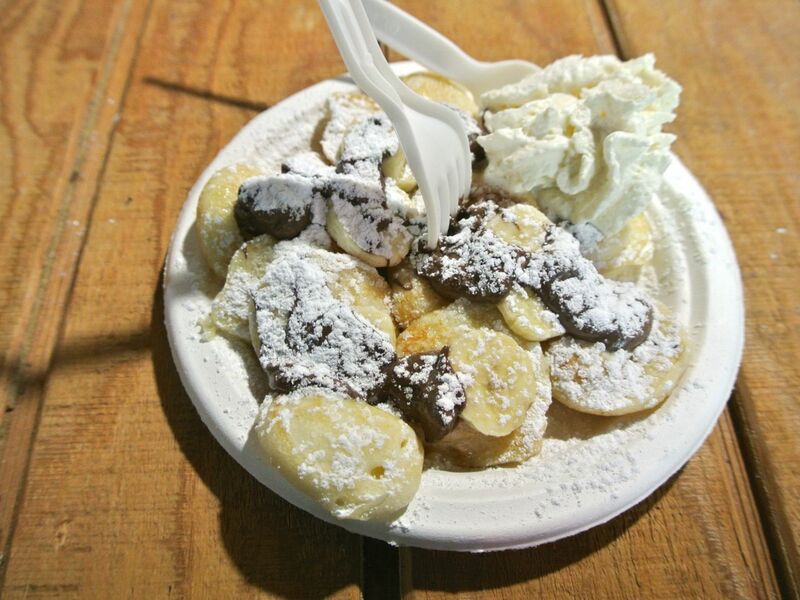 Last but not least we got a plate of banana Nutella poffies like we did last year. Poffies are soft pancake pockets with an airy and creamy texture. They come buttered and sprinkled with icing sugar but for an extra few dollars you can also get Nutella and banana on top. 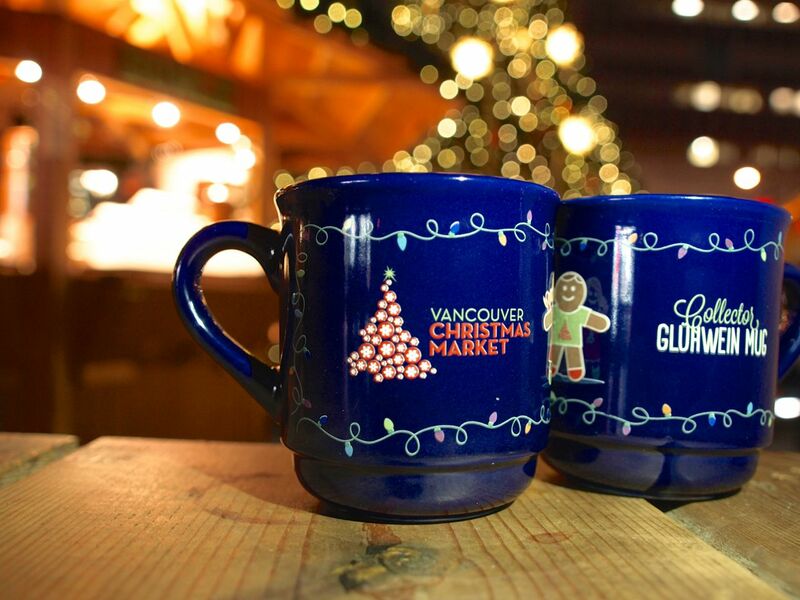 To find out more about the Vancouver Christmas Market and plan your visit, check out all the details here.